The following is a defense-centric excerpt from the SONA technical report. Interestingly, most of the projects listed below were actually either initiated or awarded during the previous administration. Parallel to the peaceful pursuit of it territorial disputes, the government prioritized the building of a minimum credible defense posture for the country through the AFP Modernization and Capability Upgrade Program (AFPM/CUP). 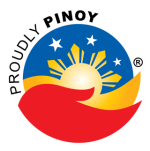 On 06 December 2012, the President signed RA 10349 (An Act Amending RA 7898, Establishing the Revised AFP Modernization Program and for Other Purposes), which extends the implementation of the AFPM/CUP for another 15 years and provides a five-year initial funding of at least P75 billion for the Program. The government completed a total of 33 projects in 3 years, compared with the 43 projects completed during the whole 9 years of its predecessor. -> Mobility equipment (1¼ and 1½ ton troop carrier trucks). -> The AFP will also procure 50,629 units of M4 Caliber 5.56mm Assault Rifles for P1.94 billion (P38,402.13/unit), which is significantly lower than the P3.19 billion (P63,000/unit) ABC. This is a result of the AFP’s strict adherence to transparent and accountable bidding process.